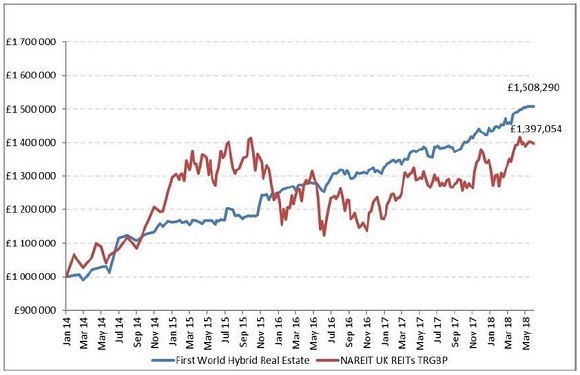 First World Hybrid Real Estate Plc (FWHRE) is a Pound sterling denominated Regulated Fund that invests in a combination of direct real estate in the UK and listed REITs. It offers investors the best of both worlds by providing better liquidity and pricing certainty than direct property investments, yet less volatility than publicly quoted and traded REITs. 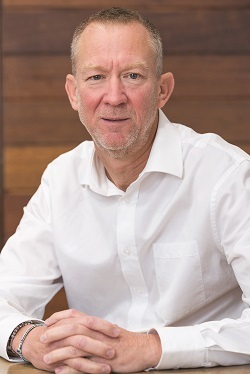 The Fund currently comprises 18 properties and is primarily invested in distribution and retail warehousing, as well as regional single-tenanted offices, resulting in a diversified portfolio. All the properties are well-situated in principal industrial and logistic locations, including the Midlands distribution area known as the ‘Golden Triangle’. A strong weighting to logistics and distribution warehousing – strongly influenced by changing consumer shopping habits and the growing on line shopping trends, this is a sector that continues to experience strong occupier and investor demand. 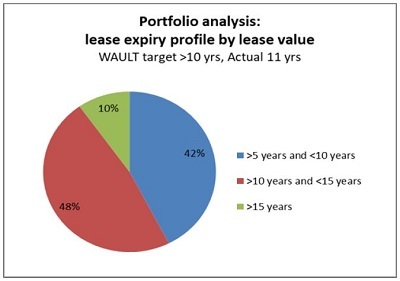 A long lease profile – a weighted average unexpired lease term (WAULT) of 11 years, with no leases being subject to expiry within the next 5 years, meaning that the rental income from the portfolio is highly predictable and reliable. All leases are fully repairing and insuring (FRI) – which means that the tenants pay all the operating expenses in addition to the rental, and rentals reviews during the lease term are upwards only, meaning that the rental cannot be reviewed to a level lower than that determined at the previous review. This together with the long lease profile enhances the income predictability. Financially sound tenants – a property will not be acquired into the portfolio unless the tenant has a 4A1 or 5A1 Dunn & Bradstreet business rating (5A1 being the top rating). This underpins the income certainty. The REIT holdings comprise substantial funds with diversified portfolios and an emphasis on warehousing property. These REITs are readily tradeable on exchanges and provide FWHRE with liquidity. Although the REITs generate a lower income yield than the direct property portfolio they are a structural and permanent feature of the Fund, as they can be readily sold as and when required and provide liquidity for investor redemptions. Liquidity (inclusive of cash balances) is targeted at 20% of shareholder funds, which is considered prudent and appropriate. A further feature of FWHRE is the low price volatility when compared to publicly quoted and traded property. FWHRE is priced on a net asset value basis and trades weekly. In terms of FWHRE’s valuation policy, each property is independently valued on the anniversary of its acquisition, and with the properties having varying acquisition dates this allows for a rolling appraisal, and low price volatility. The graph below shows the comparative performance of a £1m investment in FWHRE and the UK NAREIT index (with income reinvested). FWHRE has produced property related returns but with much lower volatility. FWHRE is well positioned to provide investors with robust and predictable property income, distributed quarterly as a dividend. 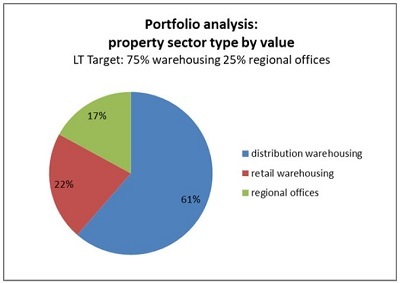 The occupational market, especially for distribution warehousing property, is supportive of current property yields and rental growth, which is a fundamental driver of valuations over time. The Fund is domiciled in the Isle of Man (IOM), and is subject to the IOM Financial Services Authority governance and the IOM Collective Investment Schemes Regulations. It is also approved by the Financial Sector Conduct Authority in South Africa. Craig Ewin is the author of this article.